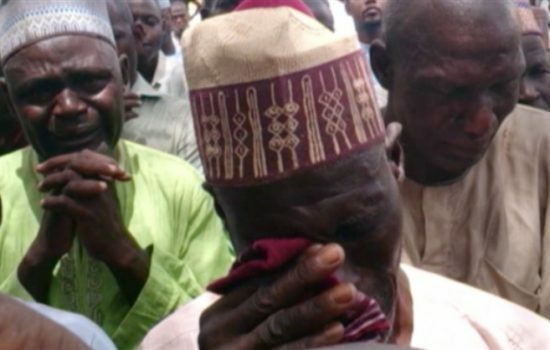 At least 48 Christians were killed in northern Nigeria in an attack by Muslim Fulani herdsmen. The attack took place on October 15, Saturday. A local priest said that the herdsmen shot the Christians dead and burnt down their houses in Godogodo, a predominantly Christian community in Kaduna state in Nigeria. In line with locals, the massacre began at 5 p.m. on Saturday October 15. Local priest Reverend Thomas Akut of the Evangelical Church Winning All (ECWA) Good News Church in Godogodo said that the assailants torched the houses and shot Christians dead in the attack. Fortunately Pastor Akut and his family were able to escape unharmed. “We fled into the bushes, and some of us escaped to safer areas. The attackers were in the hundreds and were well armed. Some of them wore army uniforms, while others wore police uniforms. Some of them exchanged gunfire with the few soldiers stationed at the post office in the town, while others burned down houses of Christians. This casualty figure is only those I saw the following morning, but the number of deaths may be higher as many were killed in the bushes too,” Pastor Akut said. “Godogodo communities once again came under very fierce, terrifying, brutal, savage and barbarous attack by Fulani herdsmen without provocation of any nature from Saturday 15th October, 2016, to Sunday afternoon. So far, the locals have been able to identify not less than 40 corpses, aside from the several other corpses burnt beyond recognition,” said Solomon Musa, an attorney.